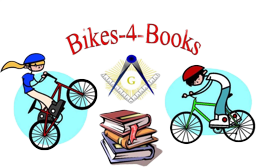 North Bend Masons sponsor the Masonic Bikes for Books program to encourage students to read. Each year North Bend Masons contribute bicycles to children participating in reading programs in local elementary schools. Toward that end, North Bend Masons are happy to bring the Masonic Bikes 4 Books program to students in Snoqualmie Valley Elementary schools to establish a love for reading early in life. North Bend Masons sponsor the annual Bikes for Books program with the participation of Singletrack Cycles of North Bend. The Laptops for Students program of Unity Lodge gives youngsters a good start in learning and keeping up with technology for their school work - ultimately so that each will have their highest level of success in their educations and beyond. 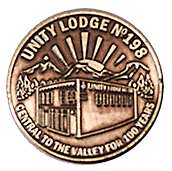 This program is an expression of the principles we learn in Lodge meetings. 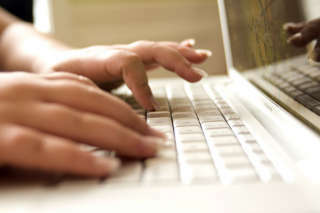 The Lodge provides a free laptop computer to qualified families with school-age children who don't have a computer at home for schoolwork. This program focuses on elementary schools in the Snoqualmie Valley School District and provides a reliable and easy-to-use computer for computer-assisted learning. Since the beginning of the program in 2016 the program has gifted 95 laptops.